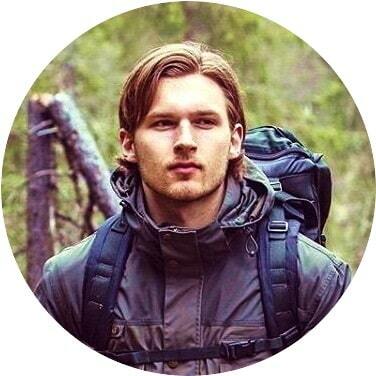 Having the right gear while hiking is crucial for having a comfortable and safe journey through the wild, and making sure you have the best backpack is no exception. Your backpack is the place where you store all of your gear, and if your pack is lacking in space or comfort, it can make getting through your outdoor adventure painful to do. It’s important to keep in mind your stature and needs when looking for the best hiking backpack. If you’re only looking for a backpack to take on shorter hikes, consider getting a smaller compact pack. If you’re going to be out backpacking, you may need a larger pack. With so many packs on the market, it can be difficult to narrow down the best one for you. Not all backpacks are created equal, and it’s important to know what you need before you start shopping. There are so many factors that must be taken into consideration when picking the right backpack to suit your needs. Size, weight, and comfort are on everyone’s mind. 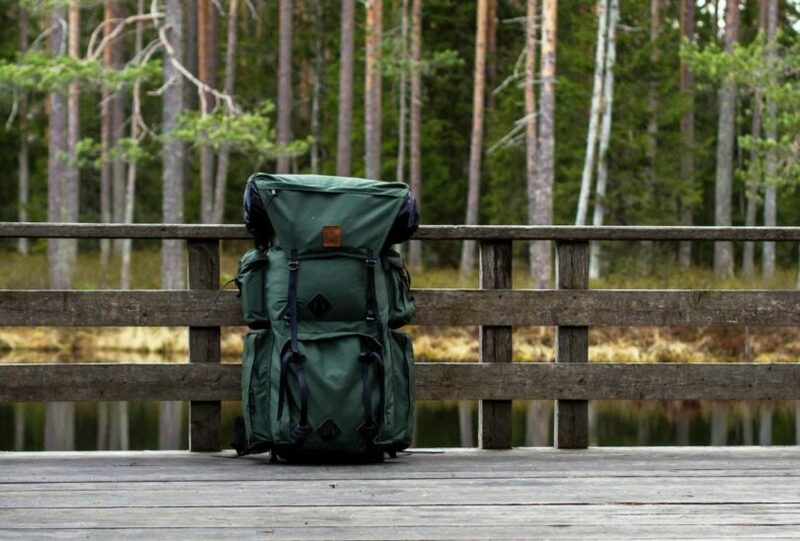 Here’s a list of the some of the best hiking backpacks available on the market. We’ve taken everything from style to need and price into consideration, so you’ll be sure to find exactly what you need for your next hiking adventure. If you’re just looking for a minimalist daypack, then look no further. The Osprey Daylite backpack is a super lightweight and compact daypack, great for carrying everything you need for a quick hike. Since the Daylite backpack is so lightweight, you can even take it along with you on your next trail run. While it might seem small, you can stuff more in it than you think. 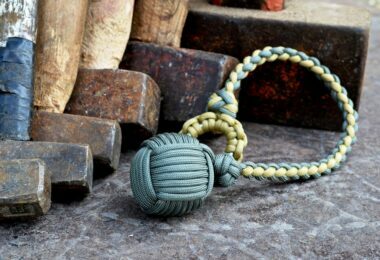 It’s also made of a tough nylon, so it’s been built to last. The pack comes in 8 different colors, from snappy green and pomegranate purple to canyon orange and madcap red, to fit every personality and mood. This pack has 3 zippered compartments and two sides mesh pockets to stash all of your gear and keep yourself organized. Throw larger items into the large main compartment, or zip smaller items safely away in the front pocket. The backpack also features a slot behind the back panel for a hydration reservoir, reservoir sold separately, helping you stay hydrated. There’s even an interior sleeve to hold a tablet, so you can take this backpack off the beaten trail. See also our top picks for the best hydration bladders to give you more options. A cool and unique attribute of the Osprey Daylite Backpack is that it attaches to all AddOn compatible Osprey packs, like the Aether and Ariel backpacks. If you already own a compatible Osprey backpacking pack, owning the Daylite gives you the added option for a smaller pack to take on side trips and extra adventures on the longer journeys. 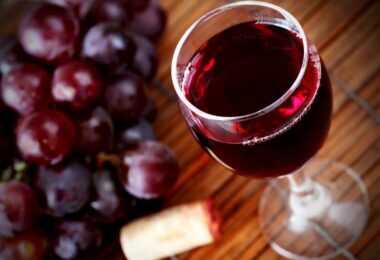 Or just use it to expand your space and bring more of what you need, if you can carry it all that is! Some people have noted that because of the shape and size of the side mesh pouches they’ve had problems with water bottles staying in place. Also know that this pack is on the smaller side. 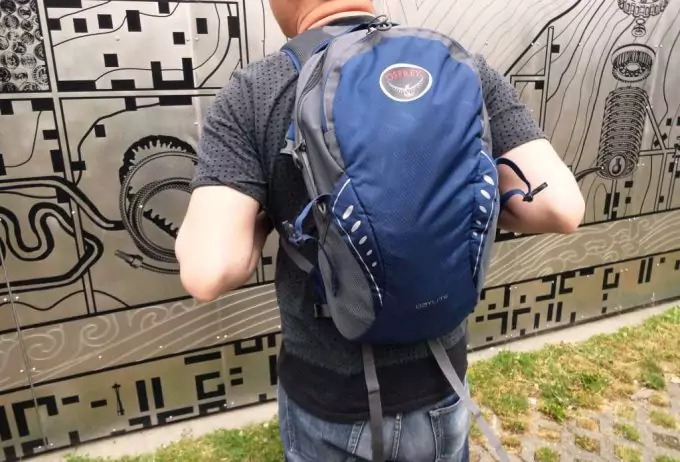 If you’re looking for a backpack that will carry your jacket, water bottle, wallet, keys, cellphone, sunscreen, and the kitchen sink, this pack might not have enough room to carrying everything that you need for the days journey ahead. A very popular and versatile backpack, the North Face Unisex Jester backpack is great option for hiking. Not too big and not too small, this bag is made of water-resistant material on the outside and features a tough base so this backpack is ready for your next day hiking trip. With vibrant and fun color combinations, the North Face Unisex Jester Backpack is perfect for those wanting to show off their fun side, just know that this pack does anything but joke around. The Jester backpack was built with all day comfort in mind. Don’t be afraid to weigh this backpack down. Featuring a FlexVent suspension, the adjustable shoulder straps are compression-molded to help ease the load on your back, making your journey all the more comfortable. The padded air-mesh back panel has a spine channel to give you the best support and ventilation, helping you to stay comfy and cool the whole way through. There’s even a waist and front chest strap for added support to help lighten your load when things get heavy. With two zipper compartments there’s plenty of room for all your stuff. The main compartment has a laptop sleeve built right in, so you can use this backpack off the trail as well as on. The secondary compartment is made to organize. With a secure zipper pocket Velcro pocket and pen pockets, you won’t loose the little things in the bottom of your bag. The handy crisscrossing bungee cords at the front of the pack are perfect for keeping things that need to be easily accessible. There are two side pockets, great for storing a water bottle. Unlike the Osprey Daylite Backpack, there is no pocket designed for a water reservoir so keep that in mind. The word on the street is that this pack is durable and stands the test of time, so you’ll be sure that it will get you through the years to come. Be sure to check the specs before you purchase, some taller men have said it’s a tad too small. Overall this pack is a great option for those looking for a hiking backpack that can go with them wherever they please and be there to make memories. If you’re on a budget and in need of a great pack, let’s talk about the Teton Sports Oasis Hydration backpack. Coming in under $100, this pack is great for hikers who have affordability in mind. This pack can’t be beat when price is a concern. While the color options are limited (the pack only comes in 3) you can afford to give that up with all that this mighty pack has to offer. This sturdy and lightweight backpack was constructed to accommodate everyone. The backpack features a low-profile athletic cut that can adjust to fit t both men and women comfortably. With three zipper pockets, there’s plenty of space to stash all of your gear. Take this pack for the day or even on a quick overnight trip. Featuring wide mesh straps and a ventilated foam and chest shock absorber, the Teton Sports Oasis will stay comfortably on your back all day. There’s an added bonus to this pack that will wet your whistle. It comes fully equipped with a totally FDA-compliant food grade 70-ounce water bladder, that’s easy to fill, clean, and has a kink-free sip tube for easy access. Be aware that this backpack has been known to fray a bit and that customers have noted some extra straps and webbing has been stitched on for nothing but looks. Really the price can’t be beat on this pack. It’s great for someone just starting out. Kelty is a brand about combing style with workmanship, and the Kelty Redtail 27 backpack is no exception. Gritty with a hint of edge, this midsized, minimally styled backpack is a great option to be considered for your next hiking backpack companion. With a compact, panel-loading design, the Kelty Redtail 27 is perfect for day hikes and toting all of your stuff around town. While this pack only comes in two color options, it is really a do-it-all pack that will become your new best friend on and off the mountainside. Boasting a roomy main compartment, the Redtail 27 has a rugged zipper that opens wide, letting you access the most buried items at the bottom of the pack. There’s a front zipper pocket to help keep the smaller items organized. This pack even has additional features like a unique ice-axe loop, a key fob, side water bottle pockets, and a daisy-chain attachment system. The Redtail 27 is hydration compatible, offering a space for a water bladder and a built in exit-tube. Featuring padded shoulder straps, a webbing waist belt, and a sternum strap; the Kelty Redtail 27 has comfort for the entirety of your journey in mind. The dynamic AirFlow back panel helps keep you’re back dry even when you’re working up a sweat. All of these features ensure that you’re staying comfortable when you’re trekking over the river and through the woods. Like the other packs we’ve been reviewing, the side mesh water bottle pockets seem to be a hassle, as customers have complained of their water bottles slipping out. Others have said that in terms of durability, this pack could use some attention, so keep that in mind if your outdoor adventures tend to be more rugged than the average hiker. Osprey is a backpack line that can’t be beat! 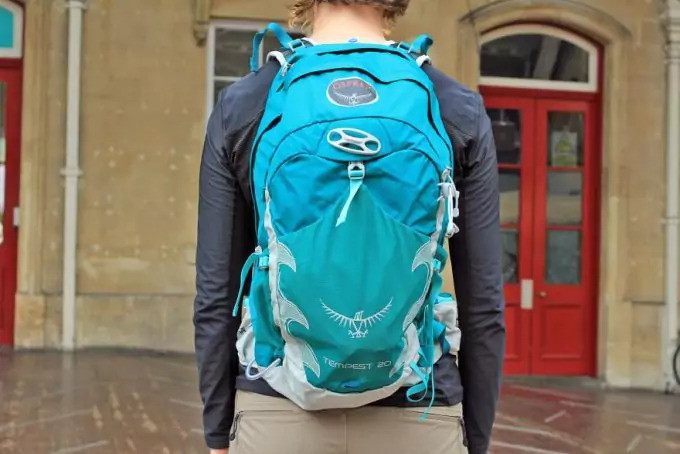 If you’re a gal looking for a great hiking backpack designed with females in mind, then consider the Osprey packs women’s Tempest 20 backpack from the Osprey’s women’s specific fit line. 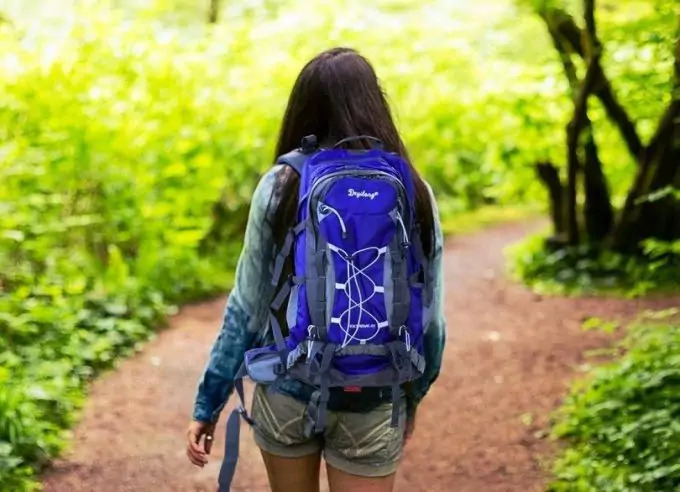 Light weight and high performance features, this hiking backpack is perfect for accomplishing the roughest of day excursions and can be taken along for a multitude of outdoor adventures. Available in three spunky color options to show off your girl power, this pack features a women-specific fit. No more awkward one size fits all, since this pack was made with a woman’s body in mind. This pack will fit you in all the right ways, ensuring that you stay comfortable throughout even the roughest of journeys. With a panel loading main compartment, there’s a place for everything. The mesh-covered foam shoulder straps also feature a women-specific fit, so those heavy loads won’t get in the way of your day. The hip belt tightens with ease, offering you with even more ways to help carry the weight of your pack. No more sweat pooling at the base of your back. The Osprey AirScape back panel has molded foam ridges that allow air to flow through air channels, keeping you cool and dry. You can even adjust the torso to fit to any back length. Additional features include a front stretch pocket, perfect for easy access gear, like a jacket, book, or even a helmet. Two zippered mesh pockets located on the hip belt can fit your a snack or two, or a small digital camera. Your phone can rest easy in one of the twin stretch pockets on the shoulder straps. There’s a water bladder compartment (reservoir not included) to help you stay hydrated. It should be noted that this bag in not waterproof so avoid using in heavy rain. Some have found the bottom of the main compartment to be on the flimsy side, so be sure to avoid putting anything super heavy in that part of the pack. This pack is another option for those needing to keep their budget in mind. It’s super affordable and a great option for day hiking or just running around town. The color options are limited, but again it’s something one can overlook for the price. 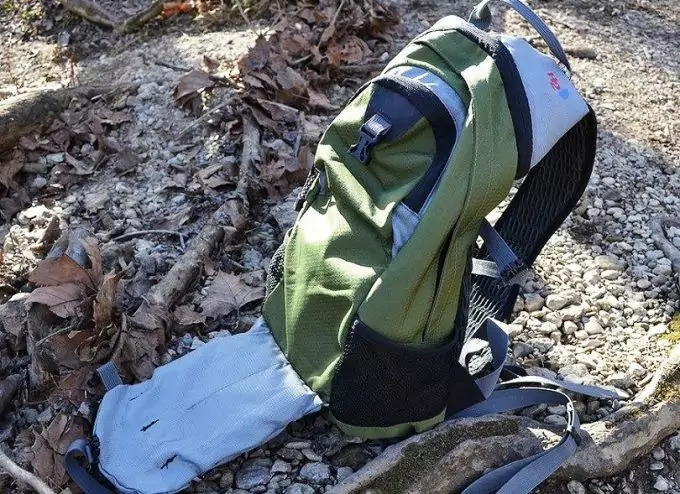 Similarly to the Teton Sports Oasis 110 Hydration Backpack, this pack comes with a 2-liter Cyclone water bladder, so you’ll be ready to hit the trails the moment you get the bag in the mail. Easy to fill, and with plenty of pockets and space, you can be sure that this backpack can hold everything you need. This bag maintains a small size but still offers a great amount of cargo space so it’s the perfect choice for carrying your water and necessities. There are various pockets for organizing all of your gear. There’s an expandable mesh front packet with a quick release buckle, giving you easy and quick access to whatever you choose to stash inside. There are also two additional front zipper pockets to help keep your smaller items organized. Comfortable in design, the cool mesh straps and feature four compression straps, to help keep you comfortable even under the weight of carrying your water. With adjustable elastic sternum straps, you’ll be sure to get all the support you need. This pack is great for those that don’t need to carry much. Some folks have commented on the included water bladder leaking and recommend replacing it with a better quality one after purchase. If you’re looking for a diverse and versatile backpack, look no further than the Paladineer hiking backpack. Not only is it hiking friendly, but also it’s the perfect climbing and daypack companion. Due to its unique design, you can even carry it like a small duffel bag, so traveling with this pack is a breeze. With a minimalist design and offered in a wide range of colors, like camo, red and muted neutrals, this pack is sure to please hikers and travelers looking for a pack to fit their needs. Engineered with a streamlined design, this backpack was created with the human body in mind. Built out of super light fabrics that are tough and made to last, the Paladineer hiking backpack also features high strength zinc alloy resin zippers, helping to keep your gear safe and sound inside. This pack is sturdy overall. There’s plenty of room for your stuff. A top-loading bag, this bag is big. With 40-liters of space, so you’ll for sure be able to fit everything you need and more. The main compartments feature a zipper separator that allow for the inside of the pack to expand to fit what you need. There are two additional pockets on the outside, perfect to fit your smaller items. Use the headphone hole to run the cord of your headphones through. The rigid back panel helps to give the pack firmness and stability while the heavy back padding aids in overall comfort and feel. The waist and chest straps securely clip around you to alleviate the burden of your packs overall weight. It’s easy to see that there are plenty of backpacks out there. Whatever your hiking and outdoor needs are, be sure to get the right backpack to ensure you stay comfortable all day. Smaller packs, like the Osprey Daylite, are great for those that don’t have much to carry. Hikers that are looking for a classic backpack that will last through the years will love the fun and expressive North Face Unisex Jester Backpack. Those needing to keep with a budget will find the Outdoor Products Mist Hydration Pack or the Teton Sports Oasis 110 Hydration Backpack a great and affordable option that doesn’t skimp on quality. The Paladineer Hiking backpack is the perfect backpack for those who want versatility and ease of travel. 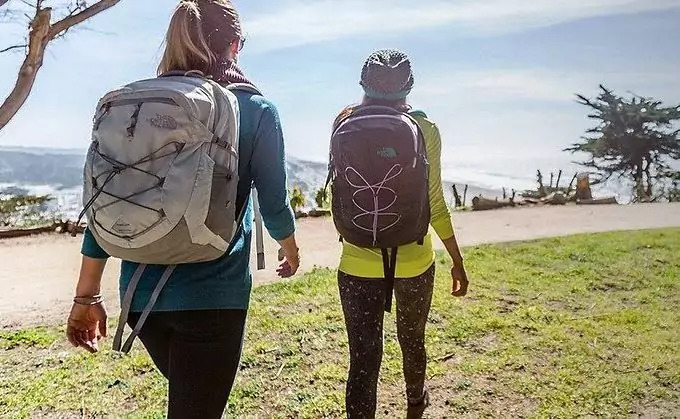 Whatever you’re looking for, be sure to grab the best hiking backpack that is going to get you through the day without skimping on space and ease, and will keep you comfy as you trek through the mountains all day. Before you head out on your next trip, find out more about the different types of backpacks in our earlier article. It’s a must-read for everyone.